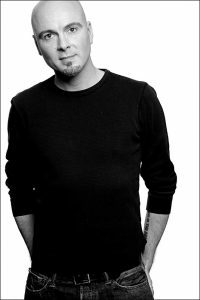 Steve Yockey is a Los Angeles based writer with work produced throughout the US, Europe, and Asia. His plays BELLWETHER, PLUTO, AFTERLIFE, OCTOPUS, LARGE ANIMAL GAMES, CARTOON, SUBCULTURE, VERY STILL & HARD TO SEE, THE FISHERMAN’S WIFE, WOLVES, DISASSEMBLY, and NIAGARA FALLS & OTHER PLAYS are published and available from Samuel French. Additionally, his play JOSHUA CONSUMED AN UNFORTUNATE PEAR (originally commissioned by Miami’s City Theatre) was included in the 2015 Humana Festival of New American Plays and the subsequent published anthology. Other plays include BLACKBERRY WINTER, THE THRUSH & THE WOODPECKER, and MERCURY. Steve holds an MFA in Dramatic Writing from NYU’s Tisch School of the Arts and currently serves as a writer/producer for the television series SUPERNATURAL. Rick Hammerly has enjoyed a successful stage career as well as work in film and television. He received a 2018 Helen Hayes Award for his direction of Factory 449’s LELA & CO. and makes his Rorschach Theatre debut with REYKJAVIK. His directing credits include EMILIE: LA MARQUISE DU CHÂTELET DEFENDS HER LIFE TONIGHT (WSC Avant Bard), THE BRONTES (New York Musical Theatre Festival), JUNIE B. JONES IS NOT A CROOK (Adventure Theatre MTC), DRIVING MISS DAISY (Riverside Center for the Performing Arts), FINIAN’S RAINBOW (Live Arts Maryland), DEAD MAN WALKING (American University) and CLOSET LAND (Factory 449), as well as productions with SCENA Theatre, Rainbow Theatre Project, Actor’s Theatre of Washington, and Fourth Wall Productions. He was selected to participate in The Shakespeare Theatre Company’s 2015/16 Director’s Studio program. As an actor, he received a Helen Hayes Award for his portrayal of Hedwig in Signature Theatre’s HEDWIG AND THE ANGRY INCH, as well as nominations for ANGELS IN AMERICA (Signature Theatre), OLIVER! (Adventure Theatre MTC), and ME AND JEZEBEL (MetroStage). 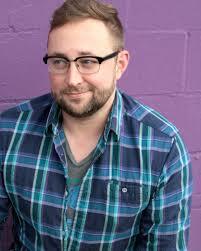 Hammerly is a founder, company member, and the current producing artistic director of Factory 449, a DC theatre company in residence at Anacostia Arts Center, the recipient of multiple Helen Hayes Awards and nominations, including the John Aniello Award for Outstanding Emerging Theatre Company. please return to the main Reykjavik Page. Two of the company’s upcoming OPI events will connect with the themes and ideas of REYKJAVIK. On January 29, Rorschach hosts a Book Club conversation about Yrsa Sigudardottir’s I REMEMBER YOU: A GHOST STORY. We will chat about the award winning crime fiction by Icelandic writer Yrsa Sigurdardottir and explore where it’s themes may connect with those of REYKJAVIK. 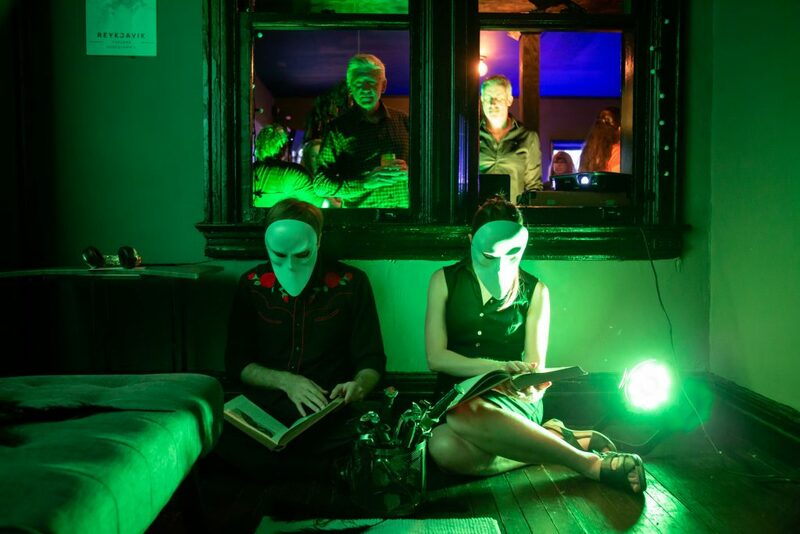 Unlike any book club you’ve experienced this will be a little bit literature, a little bit theatre, and a fair amount of beer, wine, or coffee from Solid State’s bar. (Maybe that last part is like other book clubs you’ve been to…) Should you come even if you haven’t read the book? YES! RSVP Here. On Friday, February 22nd, Rorschach will experience PechaKucha in Silver Spring. 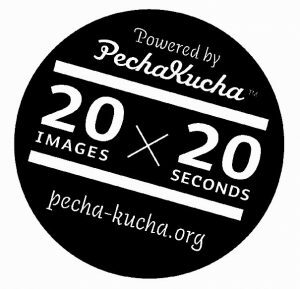 PechaKucha Nights are informal and fun gatherings where creative people get together and share their ideas, works, thoughts, holiday snaps — just about anything, really — in the PechaKucha 20×20 format. This simple presentation format pioneered by Tokyo architects in 2003 features a slate of speakers who each show 20 images, each for 20 seconds. The images advance automatically and they talk along to the images. February’s event will be on the subject of “Reality”. (A delightful accompaniment to mysterious world of REYKJAVIK) Tickets are $15 and can be purchased in advance here. Please also RSVP to Rorschach. The first five people to RSVP get free tickets from Rorschach!